August 10th to 12th sees the third Open Innovation Summit take place, right here in Chicago. Organized by World Research Group, I was lucky enough to attend the summit last year. This year's conference promises to be even more interesting. With the recession not quite yet over, R&D labs continue to face pressure on showing greater ROI. Booz Allen reports [PDF] that R&D spend in the US declined in 2010 by 3.8% to $194Bn. In this environment, it is becoming even more important for companies to accelerate and develop successful open innovation practices that leverage external resources to develop new innovations. Open Innovation is defined as the act of a company tearing down the walls between its R&D organization and outside companies and innovators. 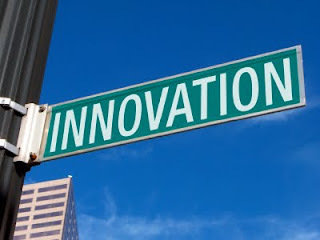 In doing so, companies are able to bring in new innovations that the company might not have previously considered. These new innovations may also be more mature and proven than options a company might consider developing internally from scratch. Nevertheless, there are many challenges to companies successfully executing open innovation programs. I've spoken to a number of companies over the last year and found the most pressing challenge to be the 'not invented here' syndrome that some internal R&D researchers exhibit. Companies have found it slow going to bring about the cultural change to make open innovation work. As P&G's Chris Thoen notes, support from the highest levels of management is necessary. The impressive line up of speakers at the upcoming summit are sure to light fresh perspectives on current issues in the open innovation space.